SELMA, Ind. — Wapahani's new gym floor looks as though it was worth the wait. 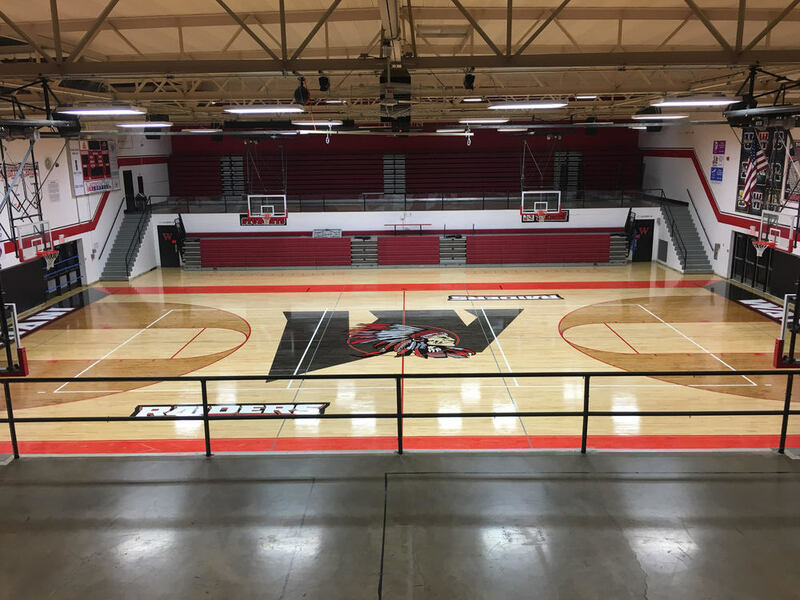 After having to wait to debut it until after the volleyball season began and playing at Worthen Arena and Selma Elementary, Wapahani unveiled the new floor Monday. The Raiders will play a volleyball match on it Tuesday against Blue River. "It’s very cool design. It’s going to be a neat piece to our puzzle," Wapahani athletic director Matt Luce said. "Our school, like other schools in Delaware County, is the center of our community. People are excited to come to ballgames and different events we host and to see that new floor, it’s exciting." Luce credited superintendent Bryan Rausch and the school board for choosing the design. Luce said that while it would have been ideal to debut the new floor against county rival Delta, playing at Worthen Arena was a great experience for the volleyball team. He told The Star Press earlier in August that the school was targeting Aug. 22 as the date for Wapahani to host a match on it, and he was right. "Things don’t always work out exactly the way you want, but our volleyball team was patient," Luce said. "It's a great addition to our school."